This is Part 1 of a 3-part series on becoming a better trainer by being more authentic and following your presentation personality. 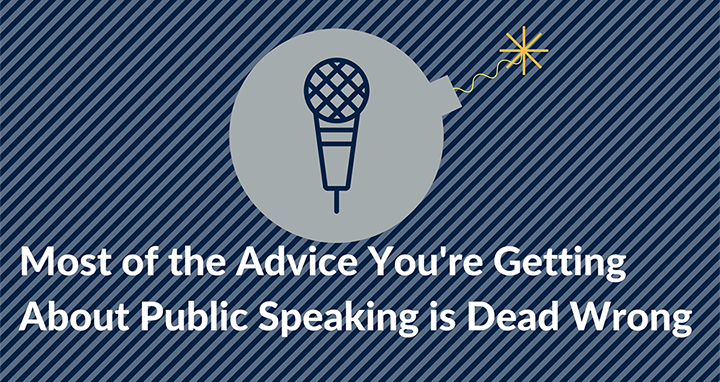 Most of the advice you’re getting about public speaking and training is DEAD WRONG. We know because we’ve observed and studies over 10,000 speakers in dozens of industries and we document EVERYTHING. Many of our most successful clients average $10,000/gig with strong followings. Learning the truth made them more AUTHENTIC, and the result is their audience TRUSTS them more. Once you stop believing this lie (we’ll reveal in a second), and embrace the truth, you will be on this same path. Why do you even get up and speak? EVEN IF you don’t think you HAVE a Fear of Public Speaking! …or you are drawn to a celebrity personality. You know what we do when we buy into that lie in order to try to achieve what we would call “success” in public speaking? (NOTE: Want to find out what your presentation personality is, so you can find out which traits define you best? Take the 5-minute Presentation Personality quiz and become the genuine presenter your audience loves in any industry or vertical — including the FREE video assessment we use to be more genuine and AUTHENTIC. Learn more about the “Presentation Personality Quiz” here. For many it can create and perpetuate fear, which is behind the number one reason people HATE public speaking. …that’s the flip side of it. This tension of opposites is something at the heart of the Rule the Room Public Speaking method. …when it comes to public speaking, it’s knowing who you are…it’s knowing your personality and not trying to be something that you are not. To help understand this better, we created a presentation personality quadrant (based on this case study) to explain this in more detail. Watch this to learn more. I talk about the presentation personality quadrant in this video. …you are interested in those traits in the opposite quadrant of your natural style, those things really stand out to you. So, what does all this have to do with fear? …we’ve found that this happened VERY OFTEN from trying to be something they’re not. And in a real, general way, audiences can kind of smell fear. …though the statistics routinely put public speaking in the top five of the common fears of people on this planet, a lot of people just don’t have a “fear issue” with public speaking…they’ve got other fish to fry. 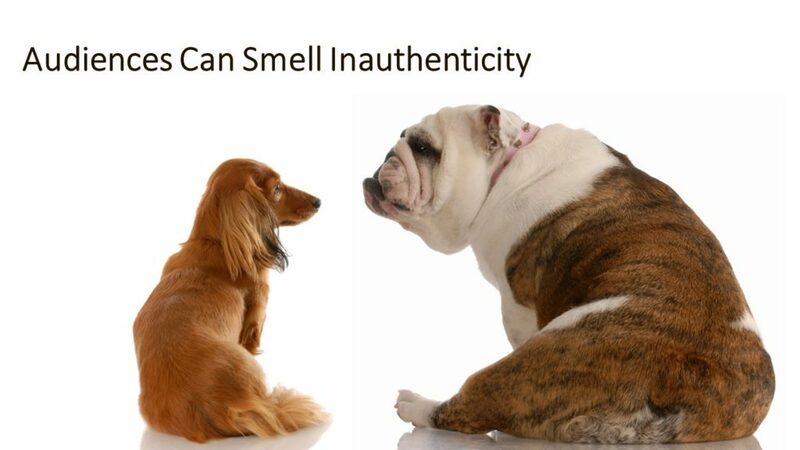 …is it’s not just about fear…we’re talking about audiences smelling or picking up on INAUTHENTICITY. That applies to EVERYONE who isn’t being authentic. What is it your audience sensing? When you are not being true…it creates a sense of distrust. 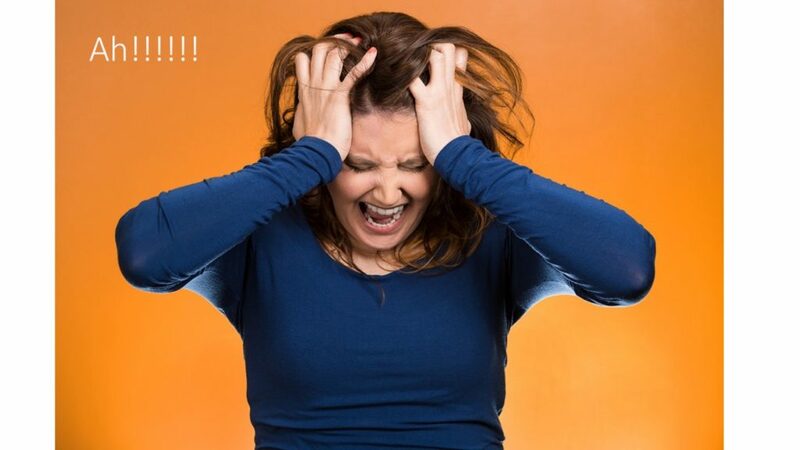 They zone out, pretend to listen to whatever tip, tidbit or thought you are trying to connect with them on…and it’s a FAIL. Trust comes when they sense you are GENUINE. 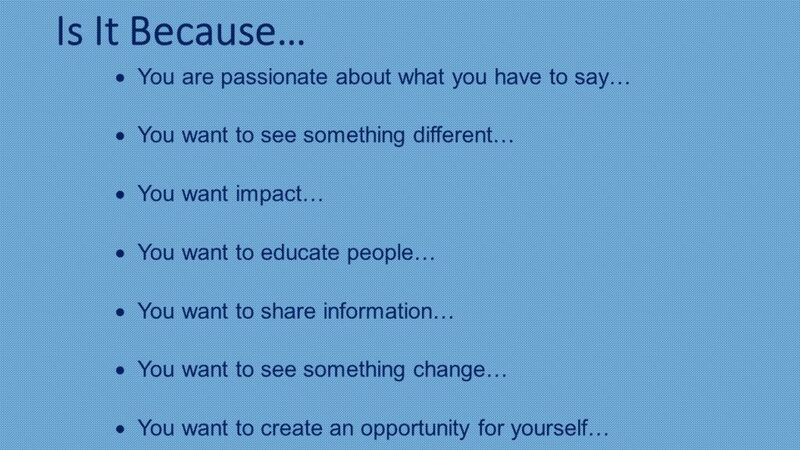 …and then things (results) you are hoping to have happen as a result of your talk don’t happen. You just don’t (or didn’t) have the IMPACT you wanted or needed to have. Then it snowballs because you’re not happy either. You try even harder to be like some other “SUCESSFUL” speaker, which perpetuates the cycle. By seeking to be more comfortable or happy in your own skin when you’re speaking, you see a direct correlation to your success. It’s in learning, knowing and being TRUE to who you are. I talk more about how we do this in this podcast. 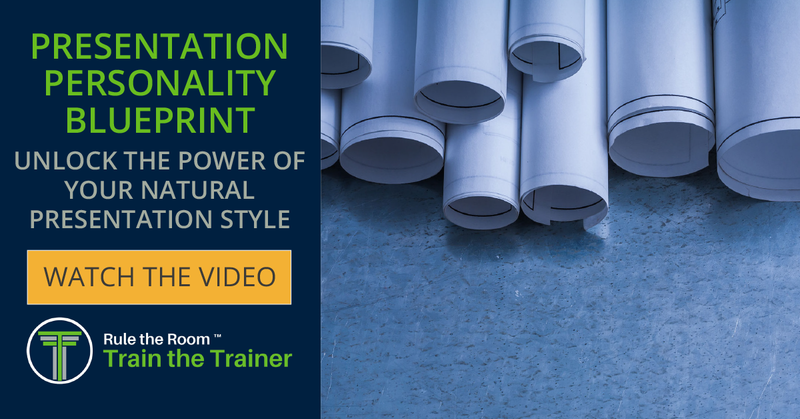 The “Presentation Personality Model” is also something we cover extensively in our Presentation Personality Blueprint training. So if you’re at all interested in speaking with authenticity (or if you want to transform a boring, disconnected presentation into an engaging, rock star presentation),definitely check it out. 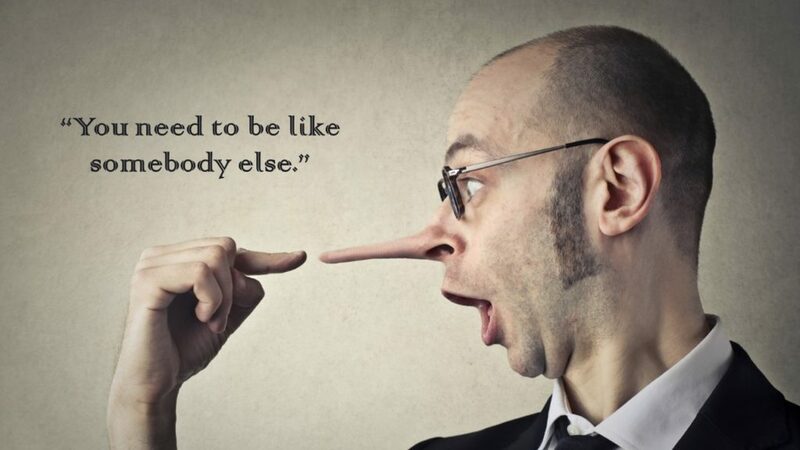 When you believe the lie (and try to be someone you’re not), what kind of pain is it going to cause you? …but when there is BIG opportunity, you are just not prepared for that next level. Know your style. It is the prerequisite first step to success in public speaking. 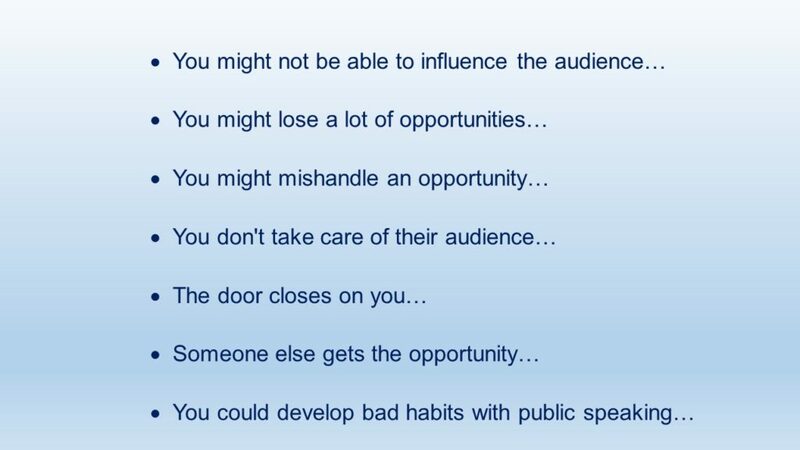 Great public speaking changes the game and opens doors of opportunity. We’ve got some great further details about where your styles falls with the “FIPE Quadrant”, that we will talk more about in blog #2 and blog #3.